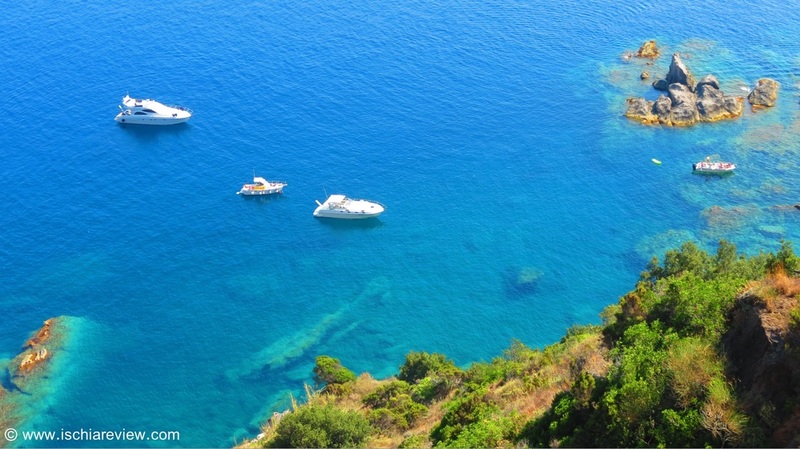 Some of Ischia's most beautiful scenery comes in the form of pretty little bays around its coastline. Our guide shows you how you can reach some of these wonderful places by boat or on foot. 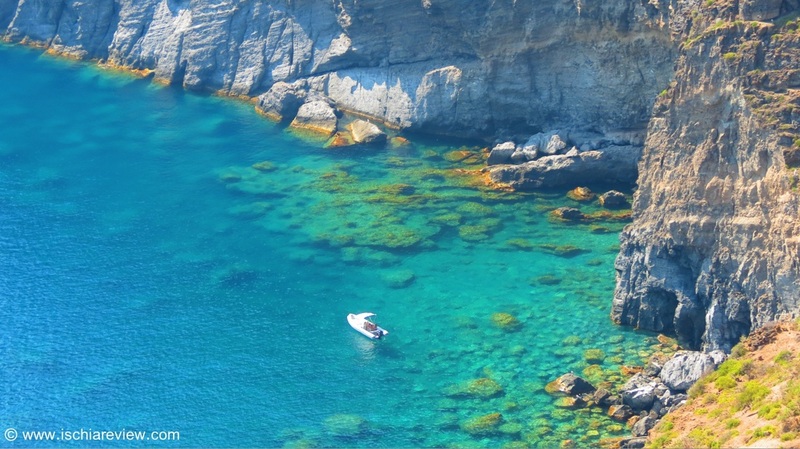 The crystal clear waters of La Scannella are a magnet for yachts and small boats as people love to drop anchor there and have a swim or do some snorkelling around its rocks and caves. The spectacular La Scarrupata can be viewed from above along the Piano Liguori walking route or from the restaurant by the same name which can only be accessed from the sea. 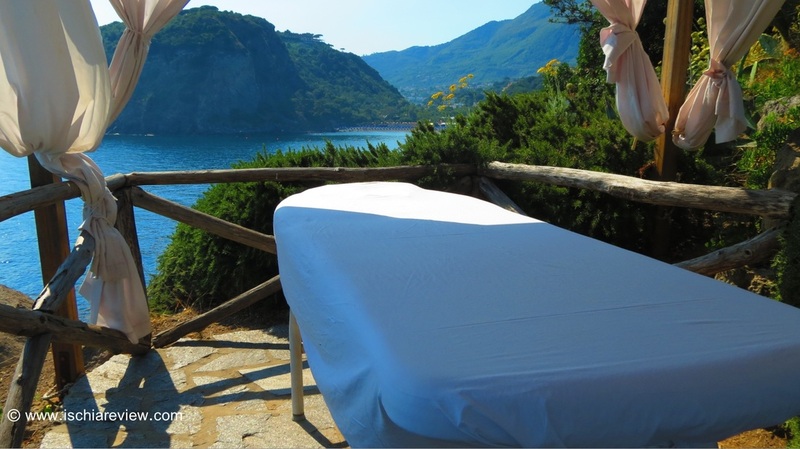 Sorgeto Hot Springs in Panza is one of the most famous destinations in Ischia. The hot thermal water can be enjoyed free of charge as can the amazing views from the top of the steps above it. 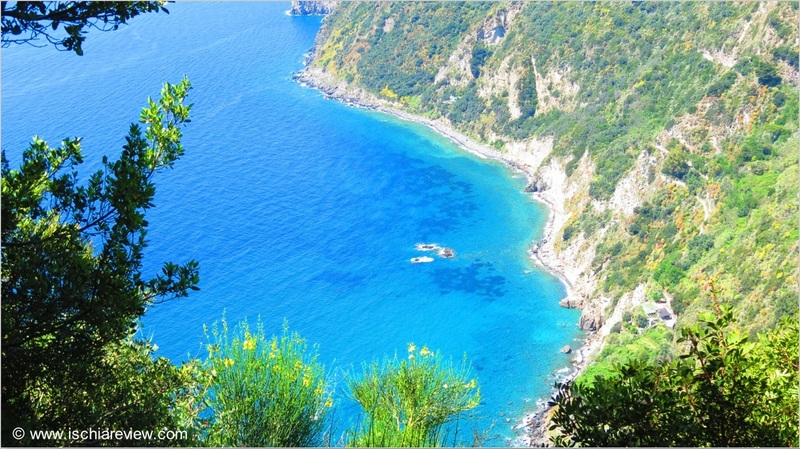 Located between Lacco Ameno & Forio, the bay of San Montano is enclosed by two large cliffs on either side. Just behind the beach is Negombo Thermal Gardens, one of the island's best thermal parks. 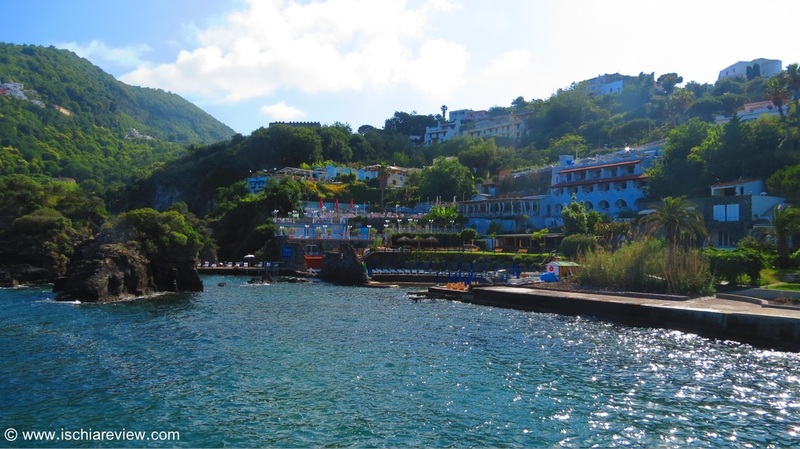 Cartaromana Bay can be reached by water taxi from Ischia Ponte. It's home to the Rocks of Sant'Anna along with a number of hotels. There is also said to be an ancient mill under the water there. 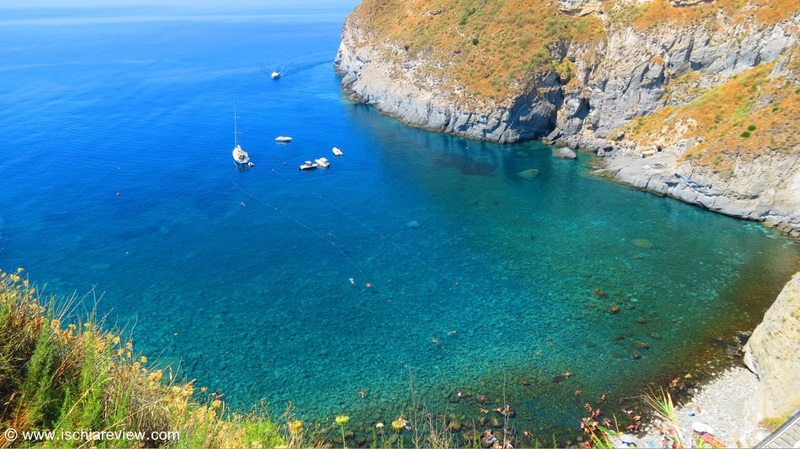 One of Ischia's favourite spots is the bay of Citara. Dominated by the beach of the same name it's also home to Poseidon Thermal Gardens, the largest thermal park on the island. San Francesco is located in Forio on Ischia's west coast. Apart from having a beautiful beach it provides one of the best images of the island which can be viewed from Zaro with Forio in the distance. Maronti Beach is the largest beach on the island and one of the most memorable scenes for any visitor. From the road above the beach you can see the full expanse of the bay towards Sant'Angelo. 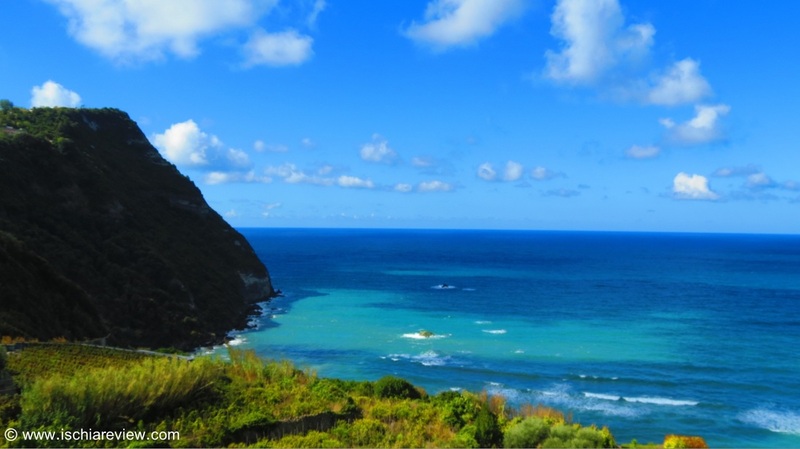 Punta San Pancrazio is located at the north-east tip of Ischia between Ischia Ponte and Maronti beach. The quiet little bay is a great place to visit by boat or to view from above.